The use of mobile apps is becoming universally prevalent in businesses. But what kind of costs are involved and how do these costs vary? Despite the growth in mobile app development, there is still limited knowledge and transparency around the costs associated with developing a mobile app. Mobile app development cost is determined by various factors such as operating systems, functionality & updates. To begin, we look at the two main mobile operating systems: iOS and Android. iOS and Android are the two dominant mobile operating systems on the market, being utilised with almost every modern mobile phone. In summary, it is not necessarily an issue choosing between which system to develop an app for as both iOS and Android are seen as a must. However, costs start to vary when looking at specific factors, starting with the app building process. For instance, the choice of programming languages and the expertise available to develop the app can have a significant cost impact. The people who make iOS apps tend to be more expensive to work with than Android. How long they expect it to be completed (time). Satisfying these requirements will depend entirely on the priorities of the client who desires an app. In fact, applying the three central factors identified above, a simple line of questioning will help unravel a client’s needs to then determine the price range for a mobile app development. Do they want an app developed to match the full extent of their desired specifications? Or not? 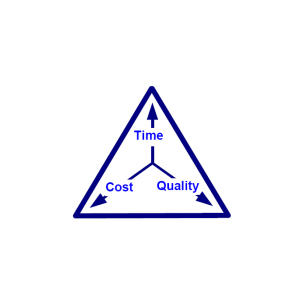 Is cost not a deterrent factor in meeting the desired specifications? Or is it? Do they want the development completed quickly to meet a deadline? Or not? Taking these factors into account, according to Applico, prices for mobile app development could potentially range between $5,000 to $500,000. Realistically, the actual price would “typically be somewhere between $100,000 and $300,000, with the entire development process taking 12-20 weeks.” Clearly there are a number of variables that impact the actual price of developing a mobile app and the final price is as much about a combination of the quality/time/cost constraints as it is about the cost inputs of the developers and the language used. Whoever is chosen to make the apps is another important decision that needs to be made when determining costs of mobile app development. When choosing who will develop the app, businesses will choose to insource or outsource to another party (often to developers stationed in countries perceived to have a lower cost of development). 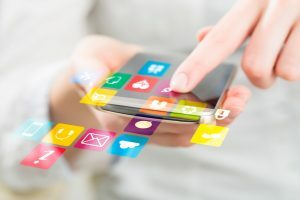 App development companies are generally divided into two categories: onshore developers, who are located in the same region or country and at face value appear to be more accessible and offshore developers, who reside in countries and regions overseas, and communication is rarely physical. Firstly, offshore development has seen significant growth in the past decade or so, at it perceived to be an inexpensive option as compared to onshore development. In this case, onshore development refers to development carried out in the western world e.g. in Australia. In a study conducted by outsourcing advisory firm Accelerance comparing costs of outsourcing to insourcing, the cost of outsourcing was approximately 50% less than the cost of insourcing when total app development took in factors such as hourly rates, employee benefits, other fixed costs and taxes. However, these cost variances start to change when the choice of which country to outsource to is made. Cost of outsourcing to offshore developers can also vary from country to country. For instance, according to Accelerance, outsourcing to the United States is relatively expensive compared to other regions, with businesses needing to spend up to $250 in hourly rates, compared to Eastern Europe at $150 (or less) or Asia at $75 (or less). It can be argued that the merely choosing between onshore or offshore development purely on the direct cost of the mobile app development is simplistic. If quality is key to a client’s needs and cost is not a factor, it makes sense to develop onshore. On the other hand if price competitiveness is critical and quality of the app is not a major consideration then offshore development becomes attractive. Because of the inherent lack of a need to have a physical relationship, offshore development isn’t necessarily less viable than onshore, however it could possibly be more attractive to work with developers onshore who can better understand a business’ needs, and when it comes to app development, cheap isn’t always better. That said, what is clear is that insourcing or outsourcing or a mix between them will have a profound impact on the cost of mobile app development. When making a mobile app, businesses can choose which features they believe would be most relevant. Features may be chosen based on different elements that vary. For instance, some businesses may choose to include payment information and a shopping cart, whereas others may consider including share functions or gaming features. In short, the choice of features will be influenced by what the app is intended to perform and a profiled understanding of the target audience. The actual cost of the app will shift, upwards or downwards, depending on how many features are included, and the size or cost to implement them. For example, adding animated features is quite costly compared to something as simple as a search bar. Furthermore, the constant that remains is that the more features that are added, particularly the more expensive ones, the more costly mobile app development becomes. An effective way for businesses to work out how much they could potentially spend on an app is to use calculators online. These calculators are provided by companies and will have different rates. This could be due to a number of reasons, such as the perceived abilities mobile app developers believe they possess in creating a fully functional app, the types of apps they create, or the range of clientele they seek to cater to. For example, according to Savvy, apps built by the big name companies will start from anywhere beginning at $500,000, whereas small-scale companies would demand a price anywhere between $50,000 and $100,000. This suggests that choosing the right company to make your app in accordance with a specified budget is critical. Websites such as ‘VenturePact,’ ‘Oozou’ and ‘Otreva’ provide calculators that estimate, as accurate as possible, how much it would cost to build an app, and will vary in price depending on the requirements of the person who wants it for their business. As an example we thought of a hypothetical situation where three calculators have been given roughly the same inputs and their costs can be compared. All the apps were selected to be made exclusively on iOS and shared similar features such as payment information and push notifications. Results were extremely similar, with VenturePact providing the lowest cost of mobile application development at $116,090, followed by Oozou at $123,300, and Otreva providing the highest sum at $127,467. It can be acknowledged that the prices may vary slightly because not every calculator shared the exact same hypothetical cost inputs for mobile app development, so the assumption is that there is a constant cost that will only vary depending on the level of functionality businesses would like their apps to have. It is important to understand, however, that not every calculator provided by companies is the same in accuracy. Some give more information to work with than others, and take more factors into account. This means that it is imperative that businesses understand which company to work with when developing a mobile app, as it would be key to know exactly which features need to be implemented, and how many in total, which greatly affects the prices paid for mobile app development. While calculators have their place, a better means of determining the price of developing an app is through working with the app developers. In short, the range that would need to be spent on mobile app development would generally start from as low as $5000 and as high as $500,000. But this is too large a sample size. Prices could be broken up into sections of capability, with basic apps on the lower end and complex apps being significantly more expensive. These distinctions are derived from a plethora of factors, such as features inputted, time taken or whether the development was completed in-house or offshore. Ultimately, how much a business pays for the development of a mobile app is mostly dependent on their needs; who are they targeting to use the app and how much should they put in to achieve this, who gets to develop it, where the development occurs and also how much maintenance do they realistically expect to put in? Nevertheless, the cost of mobile app development is not exactly specific, but it is possible to gain significant insight from looking at estimated prices and their factors.